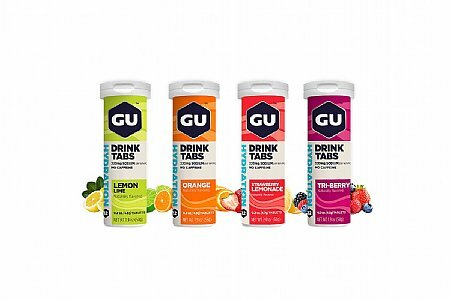 I like this format of hydration for shorter rides, I tend to get the electrolytes from the Roctane or normal GU Energy packets on the longer rides. Or use this as a supplement bottle on a century. Easy to carry additional tabs for those long rides. No mixing or shaking to do on your ride. The taste could be a little better and I wish the tablet would be enough for a 24 oz and not a 16 oz water bottle. Again I have been using these for awhile now and really love the taste of the Lemon-Lime. Really like the ease of mixing. Please make these with xylitol or erythritol but leave out the nasty stevia. Someone needs to do this. There are zero packets that only contain Xylitol or erythritol. They are the only two without the nasty aftertaste. Please!!! Have a slight medicine flavor to them, but work okay.